Is this Brisbane's slowest street? Patrik Feller has driven down Stanley Street almost every day for 11 years and says it is one of the most congested roads in the city. The Disguises Costume Hire and Sales owner rides his motorbike to work in a bid to shave time off his daily commute down the congested stretch of road. The traffic is so bad that speeds are often below 20km/h at peak times and motorists struggle to exceed 40km/h at any time of the day. Stanley Street is a one-way street that connects suburbs in Brisbane’s east and south with South Brisbane. It has a speed limit of 60km/h. Stanley Street had the slowest average speed of 10 roads analysed by Brisbane Times in partnership with location data company HERE Technologies. At 8am on weekdays, the average speed along Stanley Street from The Gabba to Lady Cilento in 2017 was 21km/h. On weekdays between 7am and 10am and between 3pm and 6pm the average speed was within the 20km/h range. The average speed on weekends was within the 30km/h range at all times of the day. The Brisbane City Council Greater Brisbane Key Corridors Performance Report calculated speeds on Stanley Street from the intersection of Old Cleveland and Cavendish roads to the Grey and Vulture streets intersection between 7am and 9am, and 4pm and 7pm. Brisbane Times analysis of monthly findings from May 2015 to May 2018 revealed speeds were slower in the AM than in the PM. The slowest average speeds were in February, with 13.4km/h recorded in the AM peak in February 2016, 13.5km/h in the AM peak in February 2018 and 13.8km/h in February 2017. The fastest speed in peak hour was the PM peak in August 2016 when the speed was about 30.9km/h. Both the HERE data and the council report reveal that the corridor is consistently running significantly under the speed limit. Mr Feller said the area was congested because it connected so many points in the city. 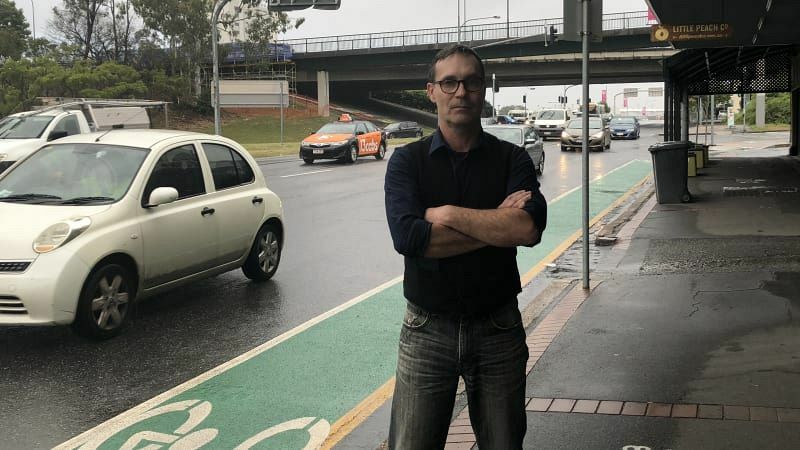 “Stanley Street has all the access to the expressway on ramp and off ramps to the City and Gold Coast; it’s an access road to South Brisbane and West End, Ipswich, Annerley — it all comes together and it’s a one-way street,” he said. Mr Feller said there should be a separate lane for motorbikes. “One car is like five motorbikes,” he said. Mr Feller said the only positive about the traffic crawling down Stanley Street was that it gave motorists time to stop to look out the window at the shops. “When the traffic slows, it’s advertising for us,” he said. The council’s infrastructure chairman Amanda Cooper said the council had spent close to $200,000 in the past year on a congestion-busting project for Stanley Street that included a new left-turn lane onto Wellington Street which was designed to stop queuing and delays to through-traffic. “Council is preserving land for a future corridor upgrade along Stanley Street and in the short-term will continue to identify congestion-busting projects that will maximise the efficiency of the existing network,” she said. Cr Cooper refuted claims that average speeds did not exceed 40km/h and said the council data, which was collected by Bluetooth receivers, showed the average speed exceeded 50km/h an hour. HERE Technologies traffic product manager Ben Wilson said the council and HERE Technologies had different data collection methods, which resulted in different average traffic speed data. “HERE uses satellite technology to understand the average speed of a vehicle at a specific point in time and for a specific section of road,” he said.